There’s nothing more gratifying to me as a leader than helping unlock people’s potential so they can achieve more than they thought possible. That’s why I’m passionate about leadership, and why I’m always learning, talking, and writing about it. At a time when leaders face such a complex business environment, I’m deeply grateful to Latino Leaders for this opportunity to share my thoughts and experience with its readers. Never in my experience in business have I seen so much change. Whether you are a leader in a corporate environment or an entrepreneur, you must grapple with incredible changes in technology, customer expectations, social media trends, and regulation, all happening at the same time and at unprecedented speed. I’ve given a lot of thought to this quandary to find ways to help current leaders. And I’ve come to the conclusion that, in order to thrive in the current environment, one must learn and adapt at what I call the speed of change—or risk being left behind. Innovation is happening at such a pace that you can’t rely solely on traditional learning methods. By the time a textbook is published or a course is offered, two things will have happened. One, the information will be out of date and, two, the opportunity for you may have diminished, as others may have jumped on board while you were thinking about it. Learning at the speed of change means being constantly curious, staying on top of trends, attending conferences and trade shows, learning all the time and largely on your own. Let me give you an example from my own industry. Not that long ago, some people believed that consumers would not want to type on a smartphone unless it had a physical keyword. That was not a valid assumption, and they are no longer in business. We are at a pivotal time that’s sometimes described as a new industrial revolution. Leading in these challenging times will be tougher than ever. Those who have the courage to face change head on, to learn and adapt at the speed of change, will see their organizations thrive. Even more gratifying than that, they will know they helped their teams achieve what they did not think possible. I hope you are one of those fortunate leaders. Ralph de la Vega is the former vice-chairman of AT&T Inc. 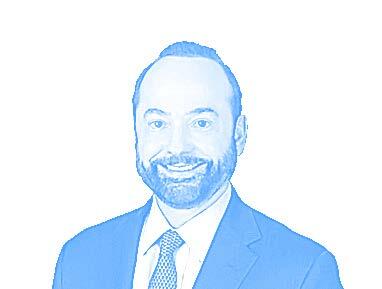 He is the author of the best-selling book “Obstacles Welcome: Turn Adversity to Advantage in Business and Life.” Obstacles Welcome by Ralph de la Vega is an autobiography about how he went from a 10 year old Cuban immigrant who spoke no English to the president and CEO of AT&T Mobility. He is also a LinkedIn Influencer, posting regularly on leadership and innovation.